During each trimester of pregnancy you will have different needs in your clothing. Maternity Sewing has a variety of patterns to help meet your needs during each trimester. We have annotated each pattern in our shop to let you know how each garment is best suited. Please note that all of the following information is based on generalizations – your unique body may have different needs based on your size, shape, style, thoughts on comfort, and previous pregnancies. Refer to these guidelines if you find them useful, but know that foremost you should trust yourself and your body where you differ from the guidelines. We divide our patterns into three sections to help you find a pattern that best suits your needs. This category of patterns is what you may think of as a “maternity friendly” pattern. It includes patterns that weren’t necessarily designed to be maternity patterns but because of the design features of the garment they work during maternity. 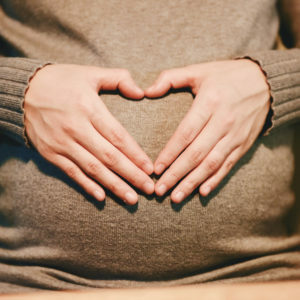 In the first trimester your belly may not look any different but you may feel bloated and find fitted garments, particularly waistbands, to be uncomfortable. You will probably find that patterns designed to be maternity patterns offer too much ease to be useful yet but “maternity friendly” garments are well suited. You may find that your bust is already noticeably larger (Read more about selecting patterns based on cup size). In your fourth trimester (post-partum) you will still have a round belly but are likely to want to camouflage instead of show off your curvy belly. Garments that cling to the belly or garments with excessive gathering at the belly are not well suited for this reason. It takes time for your body to lose the weight you gain while pregnant so you may not fit into your pre-pregnancy clothing but instead find yourself comfortably wearing garments that fit in early pregnancy. 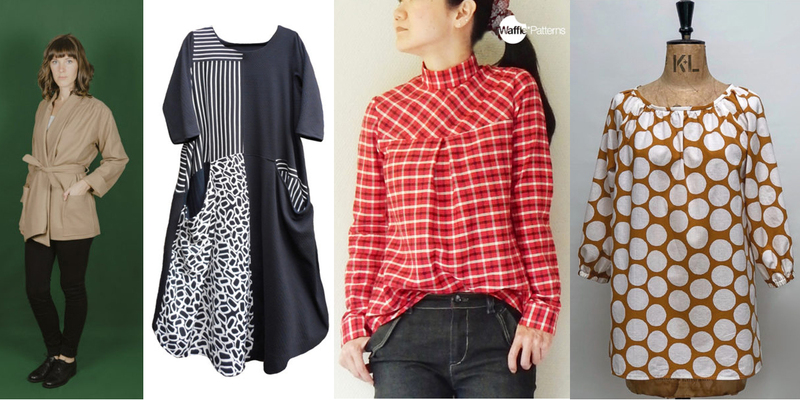 Examples of patterns that are great for early and post-pregnancy include the Jasper Jacket, Pheenie Dress, Pine Yoke Blouse, and Wendy Smock Top. See all patterns meant for early pregnancy and post-partum in our shop. This category of patterns is what you probably think of when you think of maternity patterns. Garments suitable for late maternity are usually those that are specifically designed to be a maternity pattern and have shaping and extra volume to accommodate the largest of pregnant bellies, often by gathering, rouching, or pleating. At this point you are likely to have gained enough weight that garments that previously fit you, even if they had significant ease through waist and hips and could accommodate your belly, might not fit because of your weight gain. 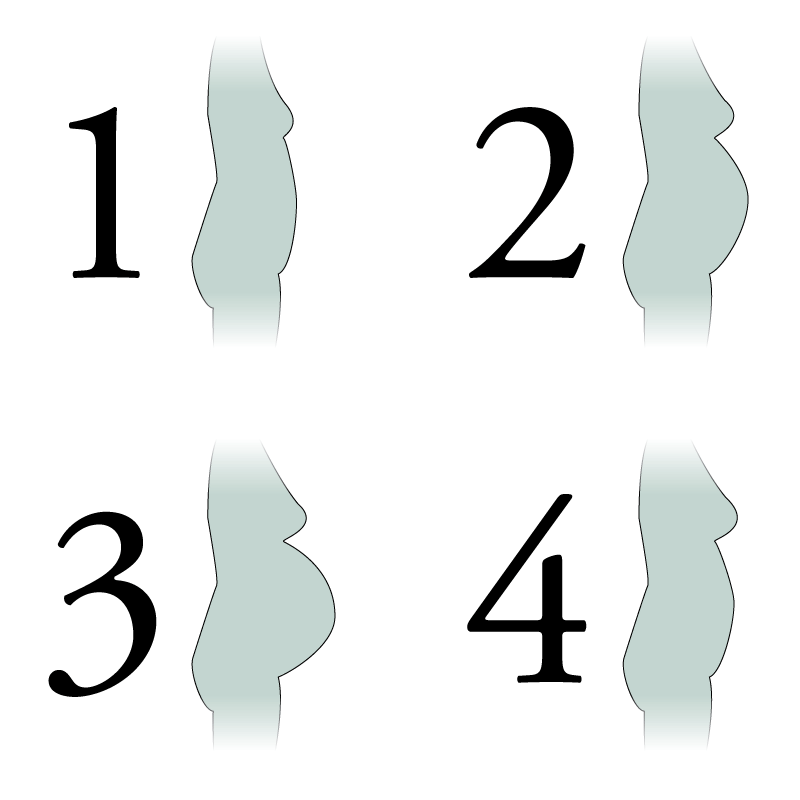 Many women find that waistlines on skirts and pants that are meant to dip below the belly become uncomfortable at the end of pregnancy because of the size and shape of their belly and the sensitivity of their skin and may prefer to wear garments with waists that go up and around the belly. 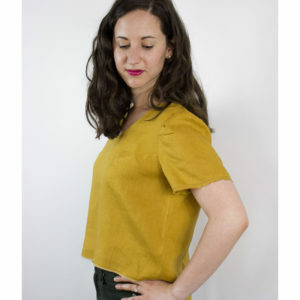 Garments you can wear in late maternity often might not work during early maternity because they have too much shaping around the belly and need a large belly to help the garment hang well or to stay up. 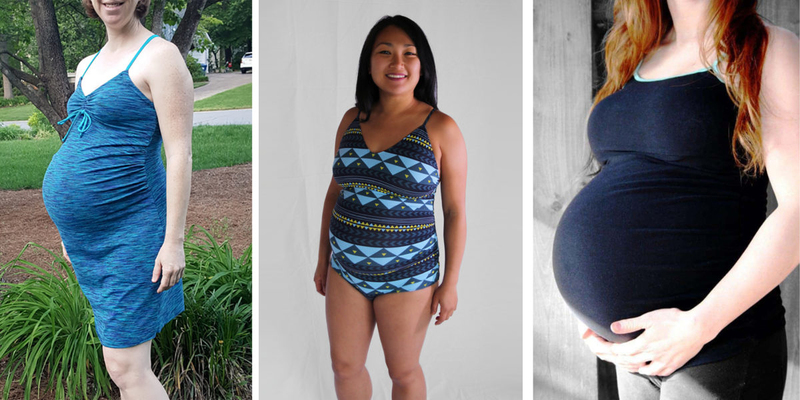 Examples of patterns that are great for the late pregnancy include the Escapade Bra/Top/Dress, Laminaria Maternity Swimsuit, and Versa Camisole. 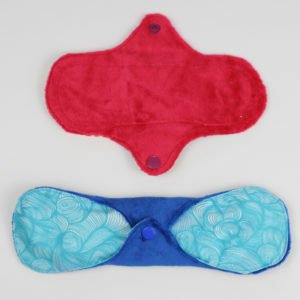 See all patterns meant for late pregnancy in our shop. Nursing means that the garment is specifically designed for nursing. This may mean nursing clips on the front of straps, extra moveable panels across the bust, or strategic garment openings. Nursing patterns may be maternity friendly or they may not. We also include oversized cardigans that can also act as modesty wraps while nursing and cropped tops that allow easy breast access on one side at a time. Depending on your personal modesty preferences, you may still find nursing to be easy in a variety of garments that are not specifically designed to be nursing garments (like garments with low or wrapped fronts) but those are not included in our search filter unless the designer specifically intended them for nursing. 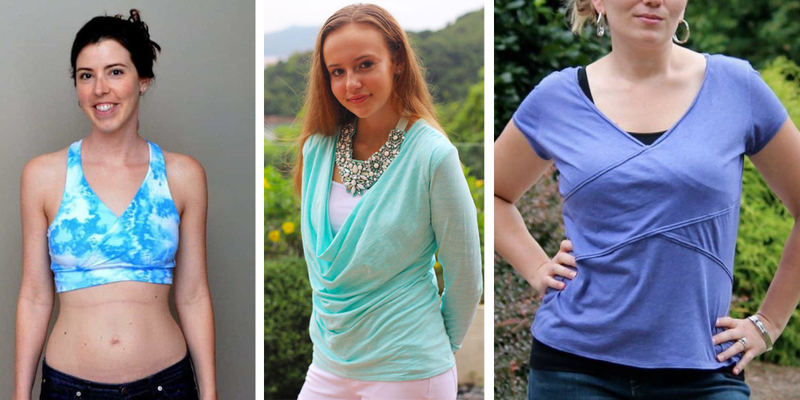 Examples of nursing patterns we carry include the Brazi Bra/Dress, Cinnabar Sky Dress/Top, and Sophia Top. See all nursing patterns in our shop.